Sick of feeling clammy and sticky in your Houston area home? Don’t sweat. 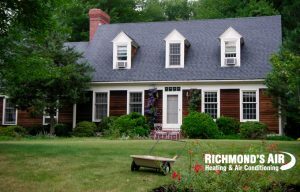 Give Richmond’s Air a call. Any Texan will admit that sometimes the humidity can be overwhelming, especially in the Houston area. Houston ranks as the third most humid city in the U.S. (behind New Orleans, LA and Jacksonville, FL), with an average relative humidity level of 74.7% year round. In the morning, the Space City tops the list with an average peak of 89.7 % humidity at 6:00 am. Why the heck is the air so humid in Texas? In part, because during the summer months, the wind blowing in from the Gulf of Mexico is hot and humid, having absorbed moisture as it passed over the warm Gulf waters. Since Houston is so close to the Gulf, the climate is considered a Tropical Zone. Fortunately, although we can’t change the weather, we can use dehumidifiers and A/C can help alleviate this problem. Whole house humidifiers and dehumidifiers offer a convenient, affordable, and quiet solution for Houston area homes and residences. From one Houston homeowner to another, it’s time to beat the humidity in Texas once and for all. Why should I buy a humidifier or dehumidifier? Home humidifiers and dehumidifiers offer so many benefits to Houston homes. Not only are they beneficial to people suffering from asthma or allergies, they also help prevent too much or too little humidity. Letting humidity run rampant in a home allows for the growth of indoor pollutants like mold, dust, and mildew — all of which can be detrimental to your health. Whole-home dehumidifiers, in particular, are a highly effective and efficient way to rid your home of excess humidity. They can be placed out-of-sight, out-of-mind, and quiet operation means half the time, you forget they’re even there. Whole-home systems are also up to four times more energy efficient than portable dehumidifiers, making them the obvious choice for cost effectiveness. What are signs that I need a dehumidifier? What is the best humidity level for my home? The EPA (Environmental Protection Agency) recommends that indoor relative humidity levels be maintained at around 30-50%. When humidity levels become much higher or lower, indoor air quality declines as the biological pollutants flourish. While the Houston area doesn’t suffer much from a lack of humidity since the city is so close to the Gulf of Mexico, too much humidity is a rampant problem in the region. Persistent humidity levels above 50% provide the perfect environment for insects, dust mites, bacteria, viruses, fungi, mold, allergens, and other indoor air pollutants to thrive. The purpose of a dehumidifier is to absorb moisture from the air and blow fresh, dry air back into the room or whole house. It accomplishes this by trapping humidity from the air and collecting it in a container or bucket, which must be emptied out when full. In some newer models, dehumidifiers can be hooked up to a home’s water drain system, meaning you never have to worry about emptying it. Doesn’t my air conditioner already remove humidity? Yes, most air conditioning systems help control indoor air temperature and humidity by cooling down air and removing some moisture. However, in areas like Houston which are plagued with elevated humidity levels throughout the year, it’s often difficult for your AC unit to keep up. A whole house dehumidifier works in conjunction with your air conditioner to remove excess moisture from the air and achieve optimal comfort level indoors. Which humidification system is best? Whole-house – Humidifiers and dehumidifiers built-in to a home’s AC system; useful for managing humidity in multiple rooms throughout a house. 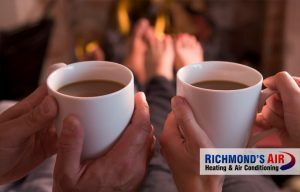 Contact the humidity experts at Richmond’s Air for help deciding which system is right for your Houston area home. We typically recommend American Standard dehumidifiers since we believe our customers deserve the most affordable, dependable system on the market. However, we can install, repair, and service any model. How can I test my indoor humidity level? Testing your home’s indoor relative humidity levels is quite simple. You can buy relative humidity gauges (also known as hygrometers) at most local hardware stores. 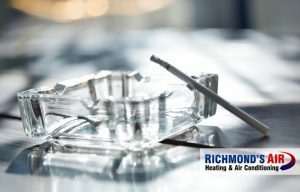 If you’re worried about indoor air quality and humidity issues in your Houston home, you can also contact Richmond’s Air and we’ll perform a professional test. If there’s a problem, we can recommend the best solution and install it quickly. We proudly serve the greater Houston area, helping homeowners stay comfortable all-year round with preventative maintenance, emergency repairs, and system installation services. Our service area extends to Bellaire, Katy, Spring (including The Woodlands), Sugar Land, W. University Place, Bunker Hill Village, Hedwig Village, Hilshire Village, Jersey Village, Piney Point, Spring Valley Village, River Oaks, and many other nearby neighborhoods. Our headquarters are conveniently located near downtown Houston, just blocks from the intersection of the North and Katy Freeways (I-45 and I-10 respectively). Regardless of where you live, we can travel to your location quickly. Give us a call or fill out a contact form to learn more.